The Residents of Qatar will now be able to visit Oman and Kuwait in their own cars! 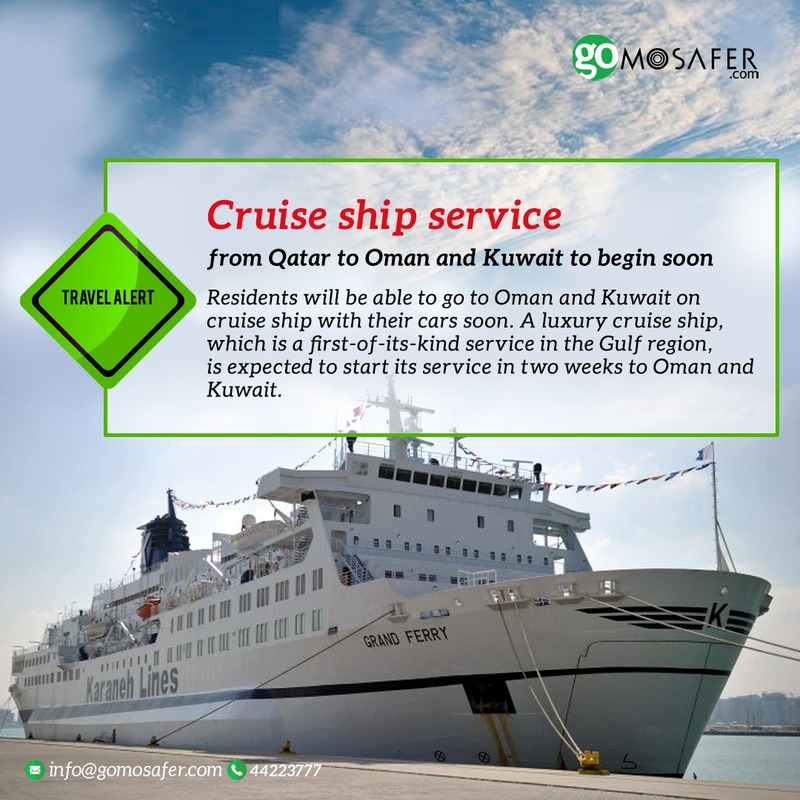 This will be possible because of the luxury cruise ship, which is a first-of-its-kind service in the Gulf region, which is expected to start its service in two weeks to Oman and Kuwait. The 145 meter-long cruise ship ‘Grand Ferry’, true to its name has a capacity of 870 persons and 670 cars. Minister of Transport and Communications H E Jassim bin Saif Al Sulaiti recently toured the ship, which is currently docked at Doha Port. “We are the pioneer in this type of business and we are sure it will be successful because there is a huge demand for this kind of service,” he added. Even though the present plans include only Oman and Kuwait, the prospects of Iran being added to the list of destinations is highly probable, if a considerable amount of demand is generated. After the blockade was imposed, many travellers had faced troubles driving through our neighbouring borders. Faisal Mohamed Al Sulaiti’s aim was to resolve these issues with the introduction of the cruise ship, via which travellers can travel along with their cars without any hassles. Manufactured in France, this 237 room cruise ship boasts many facilities like a cinema hall, meeting rooms, restaurants, cafes, and medical facilities such as doctors and nurses. It is even equipped with an emergency helicopter landing facility on the ship. The estimated time of travel is about 20-25 hours from Doha to Oman and vice-versa. Apart from passengers, the ship will also play a major role in cargo movement as well. This will be an additional source of income for the cruise ship. The detailed itinerary and the fares of the cruise are being chalked out and shall be announced to the public soon. To further ease our travel hassles, the ship management is currently in talks with Omani and Kuwaiti authorities in regards to easing the visa requirements for the expatriates travelling from Qatar. The reservations for the cruise ship are to be handled by the travel agents while the cargos are to be handled by forwarding and shipping agents. GoMosafer looks forward to undertaking this adventure with all of you!